When it comes to the highest latitudes of Vietnam, the province of Ha Giang (Hà Giang), is a great place for contemplating the grandiose mountainous landscapes. The residents in Ha Giang are mainly of minor ethnic groups. Next to the majestic landscape are special dishes created from this rocky plateau and handy hand of the ethnic group here. In particular, the most special dish you probably do not know is the Bánh Chưng Gù. 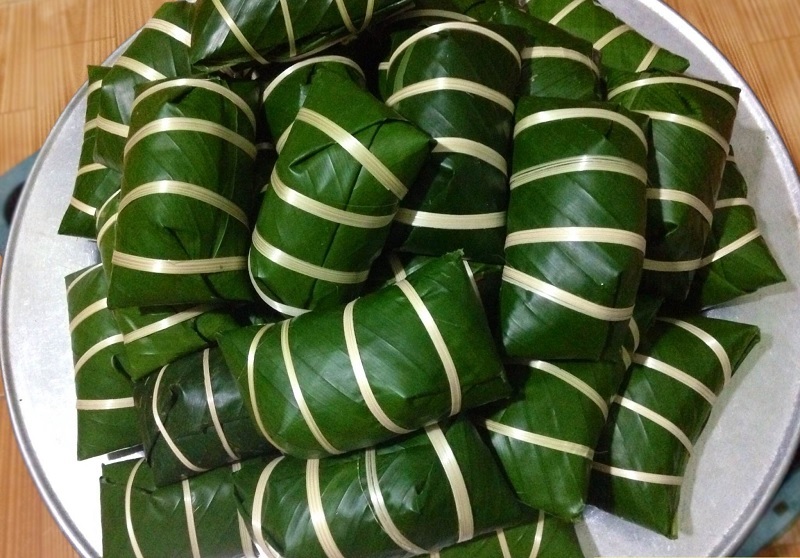 Bánh Chưng Gù is one of Ha Giang's favorite local dishes and has become a specialty when tourists visit. The cake is made from local ingredients, so if want the cake to be delicious and flexible tasty and durable material is very important. Rice must be sticky rice in Bac Me Ha Giang district, this is the only kind of delicious and delicious plastic rice. Pork made of black pork. Boiling time from 7-9 hours of cake to ensure fragrant and flexible. Like other ethnic groups, the Tay will also prepare a package of "Hymns" on every traditional Lunar New Year. 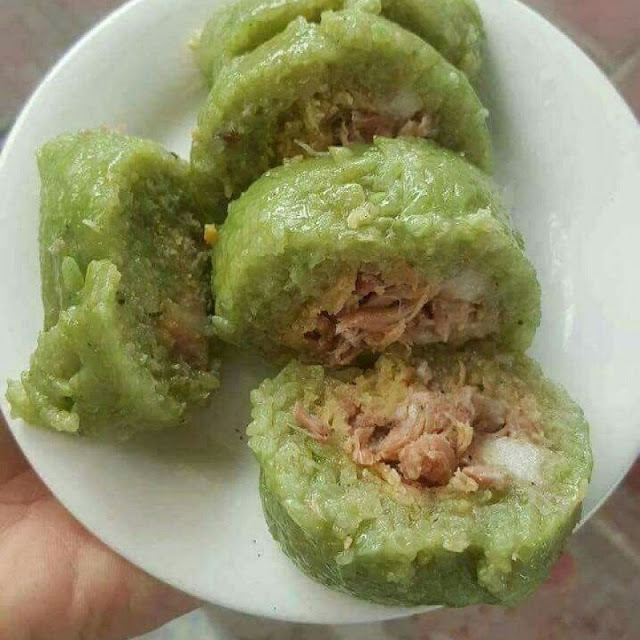 Banh chung (Tay) in particular or Banh Chung (Vietnamese Banh Chung) is made from familiar ingredients, close to each of us such as sticky rice, pork and green beans combined with some spices to make up. fragrance as well as flavor of cake. However, due to the specific climate of each region where the materials of each place will bring a different taste, very separate. The "Bánh Chưng gù" of Tay people is made from sliced rice (usually Bac Me sticky rice), which is cultivated by the villagers. If you visit Ha Giang on the occasion of September in October will not be rare to see the terraced fields flowing along the mountains, the golden rice fields successive winding to bring here a beautiful beauty.